With ample Western culture, majestic prairieland, and museums that will entice any art connoisseur, Oklahoma has it all. 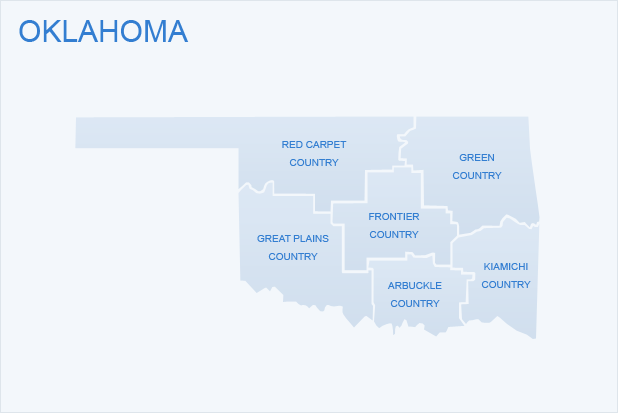 Discover the Sooner State, and find the perfect Oklahoma vacation homes for your family. Oklahoma's capital and largest city, Oklahoma City boasts one of the world's largest livestock markets, an active oil field, and numerous historical and cultural attractions. The Oklahoma City Museum of Art is a gem in the city's downtown and features a world-renowned art glass collection and a popular theater for film screenings. Nearby, the Civic Center Music Hall hosts the Oklahoma City Philharmonic, the Oklahoma City Ballet, and the Oklahoma City Opera. Explore the city's beauty at the Myriad Botanical Gardens and the Oklahoma City Zoo and Botanical Garden. Tulsa has numerous cultural attractions of its own, including the Philbrook Museum of Art, the American West-focused Gilcrease Museum, and the Sherwin Miller Museum of Art. Folk music fans won't want to miss the Woody Guthrie Center, which features the musician's archives, sheet music, photos, and much more. In southwestern Oklahoma, Lawton is home to more than 80 parks and recreation areas as well as several cultural attractions. The Museum of the Great Plains tells the story of the region, and the Fort Sill National Historic Landmark and Museum includes several 19th-century buildings and a field artillery museum. About 50 miles north of Tulsa, the Woolaroc Museum and Wildlife Preserve offers one of the most unique cultural experiences you'll find anywhere in Oklahoma. Nestled just outside of Bartlesville, Woolaroc boasts a 3,700-acre wildlife preserve that houses over 30 varieties of animals and birds. Spot bison, elk, longhorn cattle, water buffalo, ostriches, and many more animals before arriving at the museum, which has an impressive collection of Western and Native American art and artifacts. Just northwest of Lawton, the Wichita Mountains Wildlife Refuge offers 59,000 acres of protected land for both thriving and endangered animals. This large preserve is home to bison, white-tailed deer, elk, over 240 bird species, and over 800 plant species. Walk the refuge's nature trails, join a hiking or bus tour, go fishing in the refuge's lakes, hunt for elk and deer, or pack a picnic and enjoy the great outdoors. Near Oklahoma's southern border, the Chickasaw Cultural Center is the ideal place to learn about Native American history. View exhibitions and artifact collections, witness demonstrations, and take part in reenactments. Don't miss the Anoi' Theater, which shows cultural films and hosts special events. Adjacent to the Chickasaw Cultural Center is the Chickasaw National Recreation Area, an oasis that features a variety of springs, streams, and lakes. Go fishing in Veterans Lake, go boating in the Lake of the Arbuckles, or swim at Little Niagara Falls. 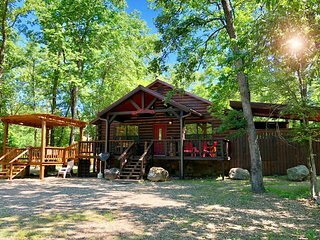 From swanky cosmopolitan condos to quiet prairie cabins, there's no shortage of Oklahoma vacation homes. 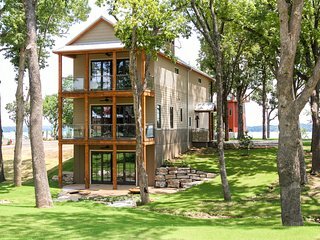 Choose from modern spaces in repurposed brick buildings or rustic lodges hidden away among the state's famous grasslands. 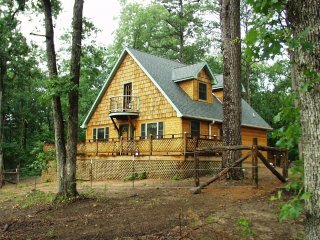 Whether you're planning a quick weekend on the city or a leisurely trip to the country, you'll find just the Oklahoma vacation home you're looking for.